Just because Kobe is retiring doesn't mean he's going anywhere. For the next two months, Kobe Bryant will be starting at small forward for the Los Angeles Lakers. 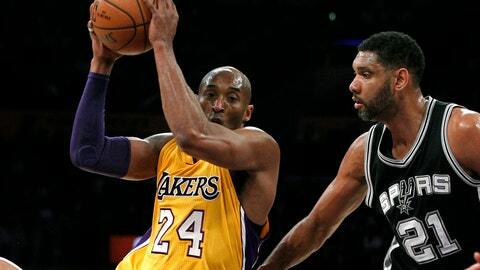 But beyond that final game on April 13th, his retirement after 20 years in the NBA has some wondering what field Bryant — arguably the most competitive athlete in human history — will try and conquer next. Bryant has cited names like Walt Disney, Steve Jobs and J.K. Rowling as templates. As great as the Lakers star was on the court, Kobe Inc. could lift Bryant’s influential status to a whole different level. Or … not. Which makes the whole thing so fascinating; Bryant is maniacally driven, smart and ambitious. Watching it all unfold should make for a good show in itself.